OUR PROMISE Customer service is our number one priority. 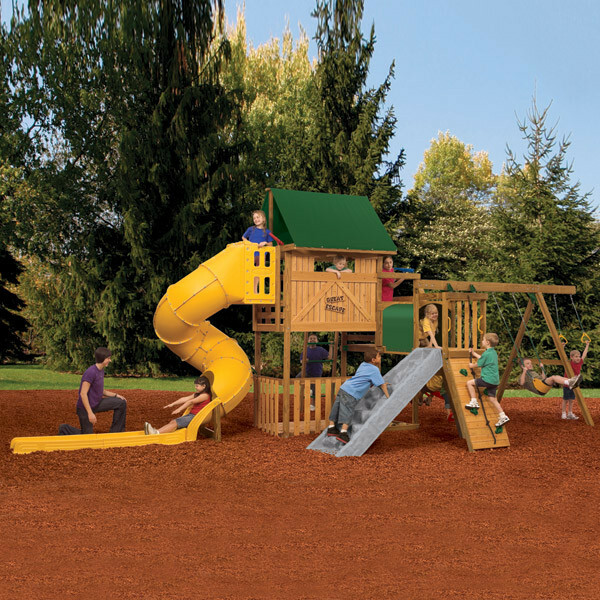 All the kids in the neighborhood will want to play in your backyard when they know you have one of PlayStar's coolest playsets, the Great Escape Gold. This swing set is loaded with features that surround four different play decks that have a combined size of more than 50 square feet. That's a lot of play space. Some of its great features include a spiral tube slide that is extended at the bottom to make it a water slide. For lots of adventure it includes a tunnel, climbing wall and even monkey bars. Choices for swinging include gym rings, a swing, or the bronco rider for two. The Great Escape Gold will not only be great fun for the kids but will make parents happy as well. It comes with all of the lumber and hardware needed for assembly including cut and pre-sanded lumber. All of the boards are clearly marked so you know exactly what size they are and where they belong. The whole set is ready to assemble and comes with clearly marked, illustrated instructions. Everything needed to build set as shown – hardware, brackets, anchors, etc. Orders placed for PlayStar play sets or accessories typically ship within 48 hours however this can vary due to weekends or holidays. Most small orders are shipped via UPS, while larger orders will require a contracted freight carrier for delivery. You will need to be present at the time of delivery if this is the case. PlayStar is able to ship to all 50 states including Canada. Free shipping does not apply to areas outside of the 48 continental states and additional shipping charges may apply for taxes, duties, or brokerage fees if required. These shipping costs are the responsibility of the customer. PlayStar cannot deliver merchandise to unsecure locations and they are not responsible for lost or stolen items after delivery. The customer is responsible for inspecting the products upon delivery and reporting any damages or shortages to Customer Service (1-888-PLAYSTAR) within 24 hours. Swing sets from PlayStar carry a 10 year warranty on all products for materials and workmanship that are used under normal and proper conditions. This warranty does not apply to swing sets that are simply showing normal wear and tear or have been unreasonably used or abused. It also does not cover improper installation, vandalism, modifications to the structure, acts or God, or use of the product as is not intended or designed. Under this warranty PlayStar's liability is limited to the replacement or repair of any defective parts or products. The cost for replacement or repair shall never exceed the actual cost of materials necessary for repairs. PlayStar has the right to examine photographs or the defective merchandise, after it is returned at the customer's expense, before accepting warranty claims. PlayStar is more than just a company that sells swing sets. They are a company that cares about providing a high-quality product that will not only enhance the physical development of your child but will expand their social skills and help them make long-lasting memories. PlayStar is a U.S. company that is built on passion. Their employees have a strong desire to work hard, offer friendly and professional customer service, and make a difference daily. 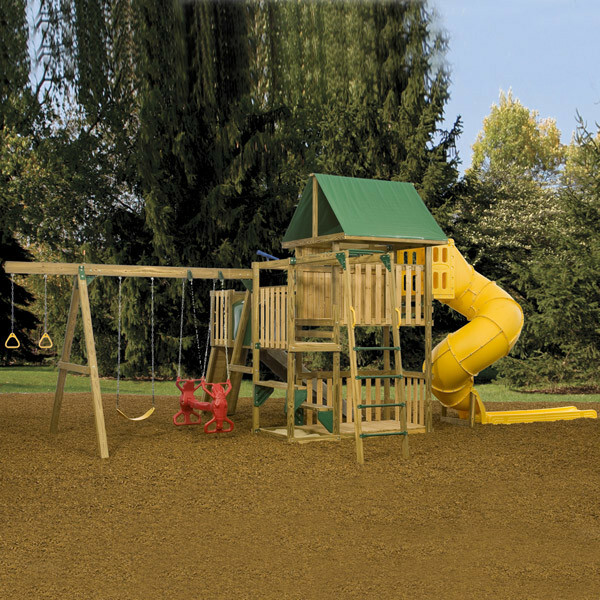 They value the products they sell and design each play system with heavy duty parts and select grade lumber to give you the best ready-to-assemble wooden swing set that still comes with a reasonable price tag. 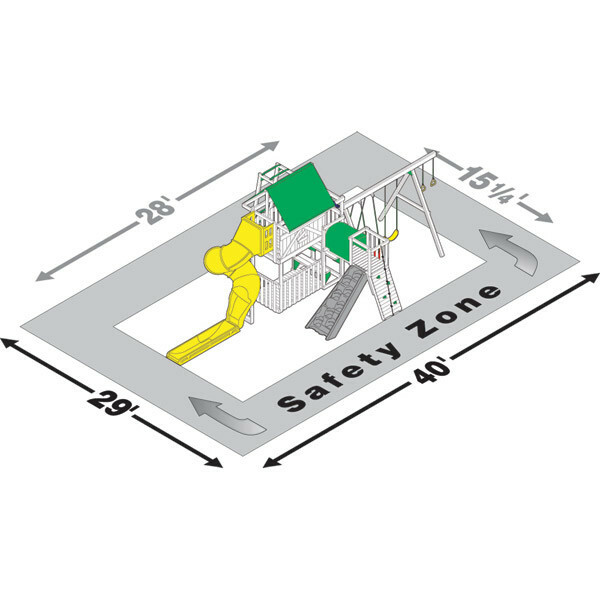 Our goal is to provide safe, high quality, exciting swing sets at a guaranteed, everyday low price. We are committed to making your buying experience positive and fun through our friendly and outstanding customer service. Your satisfaction is our number one priority. We offer the newest swing set models and get them to your door hassle free. Our customer service department is ready and willing to help by calling 1-800-866-3077 or emailing us today! © 2018 TotallySwingSets.com. All Rights Reserved.